The Fairy Sidewalk Bicycle was a popular child’s bike in the twenties. It was marketed extensively both in America and Great Britain. For many folks of a certain age it provided the first means of wheeled propulsion. Bicycle manufacturers targeted the full-size two wheel bicycle to teenagers while younger children were provided with tricycles and scooters. However, during the 1920s and early 1930s, in a bid to attract younger riders, small two wheel bicycles were developed for children aged five to ten years. They were advertised as ‘sidewalk’ bicycles and, with their small wheels and low construction, were relatively safe. 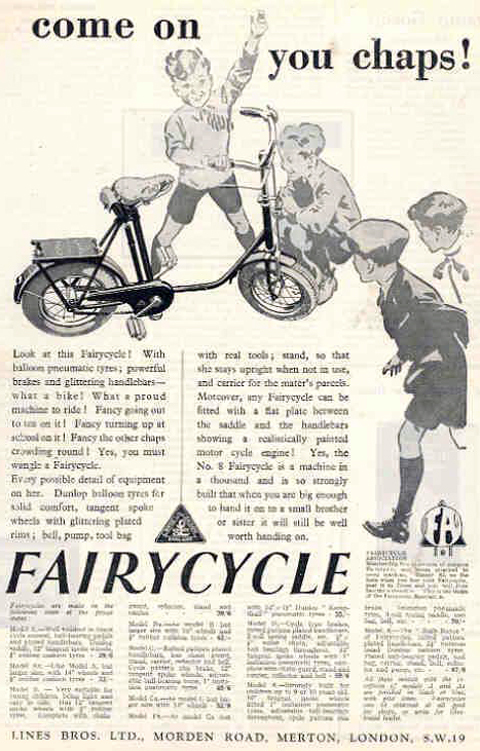 The ‘Famous Genuine Fairy Ball Bearing Speed Bikes’ were advertised in the Spring & Summer 1931 catalogue of Sears, Roebuck and Co, Philadelphia, USA. Two models were available, the Fairy De Luxe with New Departure coaster brake, enamelled in ‘Willow green’ with red striping at a cost of US $15.47; and the Fairy Speed Bike without coaster brake finished in enamelled red with black striping for $11.48. It remains unclear how popular these small two-wheelers were though their cost would have been prohibitive as large rubber-tyred tricycles varied in cost from $2.69 to $4.39 and scooters $3.85. 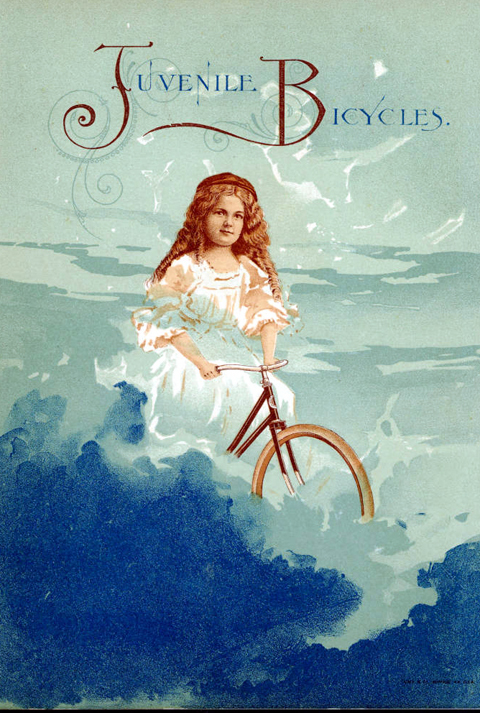 They were marketed in Great Britain by Lines Bros Ltd of London as The Fairycycle. Lines Bros created the famous ‘Tri-ang’ brand name after WW1. 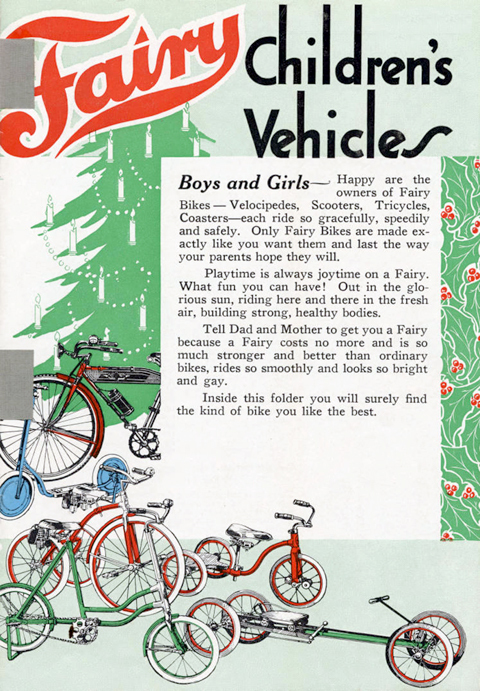 At the top of the page you can see the Fairy Cycle advertised on the side of the Tri-ang toy bus; I’ve reproduced its catalogue at the bottom of the page. 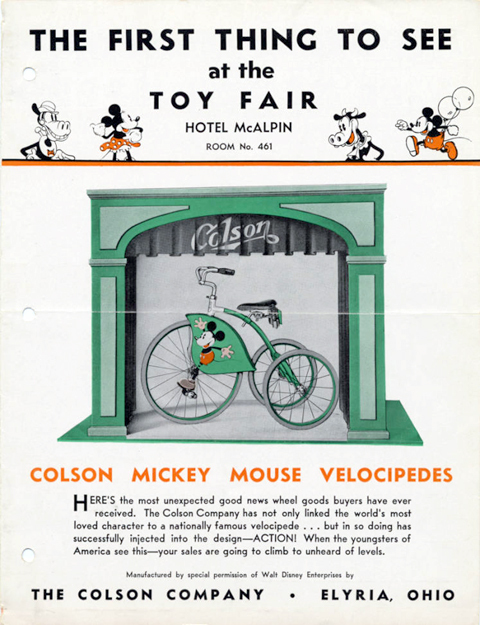 Bicycles built by The Colson Corporation were sold by many different retailers from 1917 to 1953, with Firestone and Goodyear being the biggest and most well known. 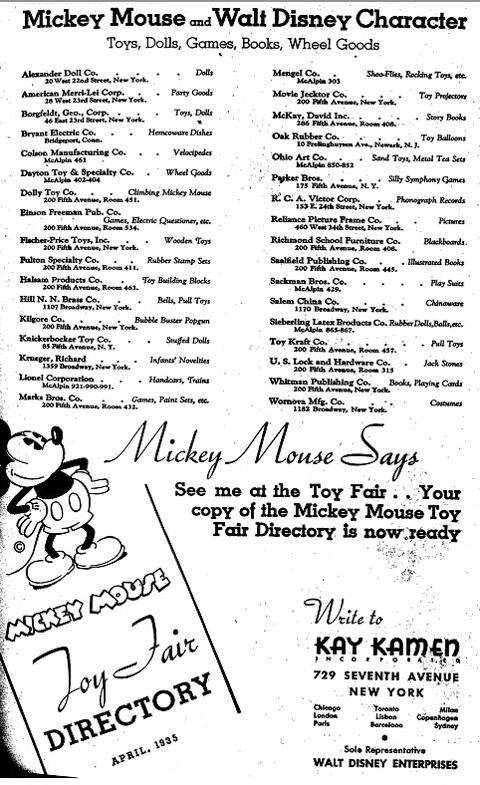 Colson even made special models that were sold exclusively through these two retailers. The Firestone Cruiser and Super Cruiser were Firestone exclusives and were made only one year, 1941. The Colson Company last made bicycles in 1953 when the bicycle division was sold to Evans. Today the Colson Caster Corporation is a member of the Chicago-based Marmon Group of Companies.